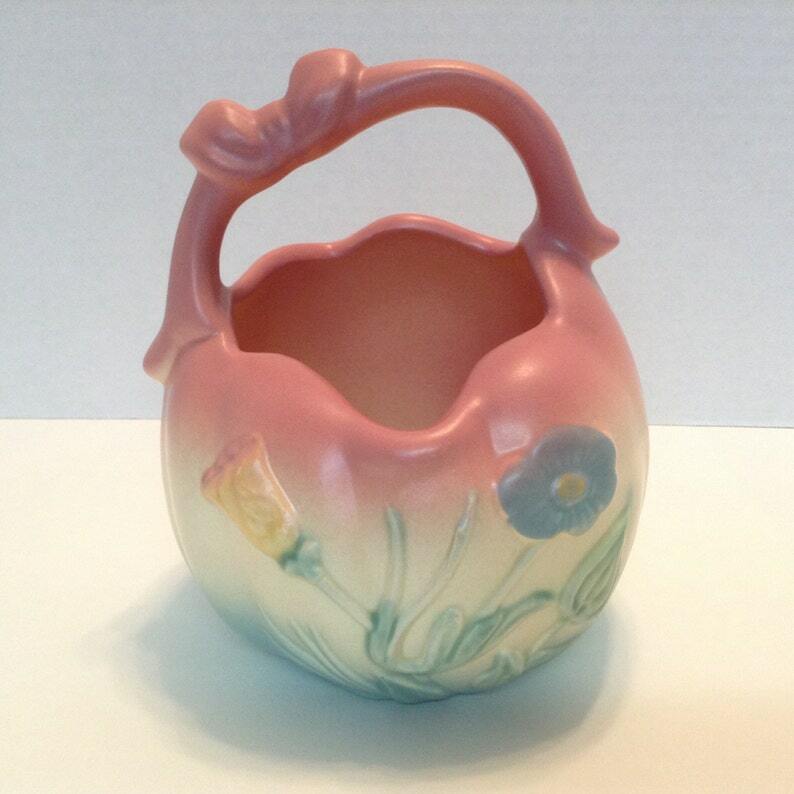 Sweet AE Hull Pottery Bowknot basket vase. Produced in 1949 and 1950, and highly collectible today, the Bowknot line featured a matte finish and embossed floral design in various shapes and sizes. This piece features a matte pink, yellow and green/turquoise segmented ground with yellow and blue flowers and green leaves. Basket measures 6 5/8" tall by 5 7/8" at the widest part of the sides and 5 5/8" at the widest part from front to back. The number “4” is also incised in the bottom.